News > 500m Users, But What’s Next For Facebook? 500m Users, But What’s Next For Facebook? As you’ve probably read already, Facebook has announced that it has hit 500 million users! So what’s the secret behind this success story? In 2003, Mark Zuckerberg started thefacebook.com while at Harvard University. The website allowed students to register their details and post information or pictures about their activities across campus with early reports stating the site generated 450 visitors in the first 4 hours of going live and 22,000 photo-views. While these early numbers pale into insignificance compared to the figures released this week, the future was bright for the new service. Despite thefacebook.com being forced to close briefly over security concerns (sound familiar? ), when it reopened it quickly expanded across every University in the US. By 2004, Facebook received its first investment from the co-founder of Paypal and purchased the domain name facebook.com for $200,000. In 2006 it opened its doors to anyone over the age of 13 with a valid email address and today, only four years later, facebook.com has reached 500 million users and $1.1 billion of revenue. So the big question is: what’s next for the social giant? Banner advertising has been the largest source of revenue for Facebook to date and, with a wealth of data about every user, banner advertising has never been so targeted. Users supply their age, interests, location, gender and occupation, which allows advertisers to target an exact demographic. 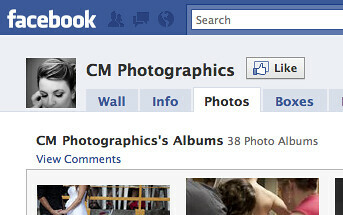 Facebook cites the example of a company called CM Photographic (PDF link) that specialises in wedding photography. CM invested only $600 dollars on Facebook, targeting 24 to 30 year old women whose relationship statuses on Facebook indicated they were engaged. An amazing 60% of users who clicked on the ad became a qualified lead and generated the company nearly $40,000 of revenue. Despite this, Facebook’s advertising click through rate is only 0.04%, compared to Google’s 8%. Compare this to open rates than can be achieved other digital areas, such as email. Facebook’s challenge is to leverage their user base and overcome user perceptions of marketing on social channels users ‘see ads as not always relevant to them, but don’t like personalised ads either as these are an invasion of privacy” (source: IAB /ICD research July 2010). So is there another way for Facebook to make more money in the future? The answer may come from another favourite pastime of Facebook users: gaming. With games like Farmville bringing in over 61 million Facebook users regularly monitoring their farm growing crops and raising livestock, does online gaming offer a financial opportunity? Facebook credits have remained fairly low key so far, but we think this could just be the next big thing. Currently you can buy Facebook credits (one credit is equal to $0.10) using a credit card, Paypal or a mobile device. 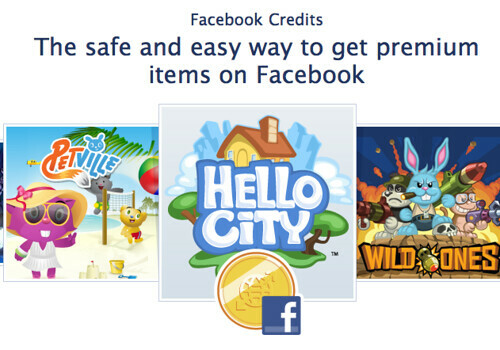 You can then use these “credits” to purchase premium items in some of Facebook’s top games or applications and send gifts to friends. We’re not the only ones that think this could be big with RockYou, Facebook’s largest game developer, recently signing a five-year exclusive deal to use Facebook credits as its online payment method. Companies like RockYou will earn 70% for every credit it sells and Facebook takes a healthy 30% too! But using credits for games is only the start. What about the ability to convert credits back into money? Would this allow social games like poker/roulette to reward users with credits which they can then convert into money that they can spend? Or how about using the service to pay your friends back money you borrowed? What about earning loyalty points in day-to-day retail stores in the form of Facebook credits? Only two weeks ago, MOL announced it will allow customers in its stores in Asia and Australia to purchase Facebook credits in-store but also convert “MOLpoints” into Facebook credits. Take this to its natural conclusion and you could even see brands giving Facebook credits to fans that post products on their wall and encourage their friends to purchase. 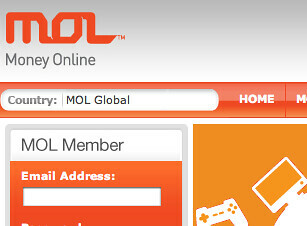 Could this start a whole new affiliate system? So is this the next Facebook money making idea? We suggest you watch this space!